Councillor David Mellen, Portfolio Holder for Early Intervention and Early Years at Nottingham City Council, has completed his Big Reading Challenge – smashing his target of reading to more than 5,000 children in 50 days. Since 28 January, Cllr Mellen has read to children in schools, libraries, theatres, bookshops, taxis and the main city council chamber. He has even read to children at the top of a windmill. His final total is 6,504 children. The Big Reading Challenge has raised more than £5,000 to give books to children in the city through Dolly Parton’s Imagination Library – an amazing scheme that delivers a free book every month to children from birth to five years old. Reaching his fundraising target means Cllr Mellen has raised enough money to provide 2,500 free books for children – or the equivalent of a whole class of 40 children being able to receive a free book from birth to the age of five. 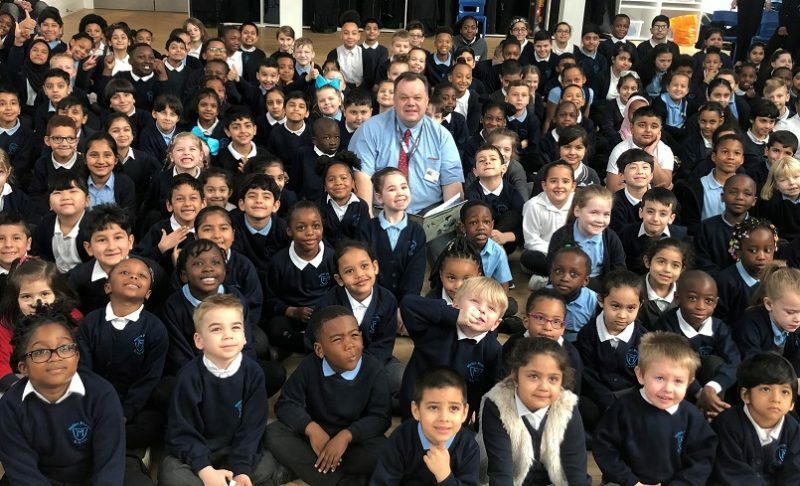 His final challenge on Monday 18 March saw him read to the whole of Mellers Primary School in Radford – 330 children – where Cllr Mellen is a former Head Teacher. Cllr Mellen said: “It has been a tough challenge to keep going for 50 days – and at times I have almost lost my voice after reading so many stories – but it’s all for a very good cause and the children I’ve read to have all been brilliant. “Now that the reading target has been completed, I really need the people of Nottingham to get behind me and continue to donate money for the Imagination Library. “We know that reading with children is one of the best ways to set them up for a bright future. 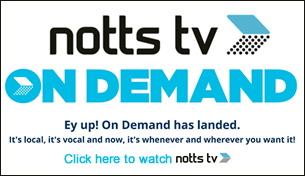 Unfortunately, in Nottingham, too many of our children start school behind the expected literacy levels. The Imagination Library is proven to change this.